Its tough credentials include MIL SPEC 810G and IP68 certificates. 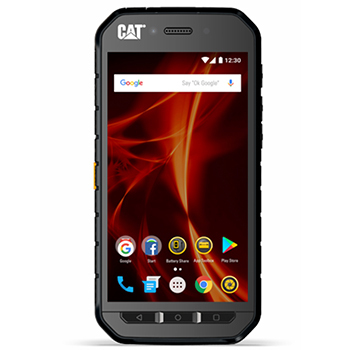 Built to handle the extreme conditions you face every day at work and play, you can drop it, dunk it or even forget to charge it, and the Cat S41 will keep on working for you. Waterproof (to 2M for 1hr), dust proof and drop proof (to 1.8m) and built with the latest Corning® Gorilla® scratch-resistant glass, you are protected whatever situation you find yourself in. Offering a large and bright 5 inch Full HD display, the screen can be read in direct sunlight and used when wet or with gloved hands. Plus, an easy-grip design features a multi-function programmable key – useful for Push to Talk (PTT), SOS (Lone worker app), or to easily launch its torch or camera. 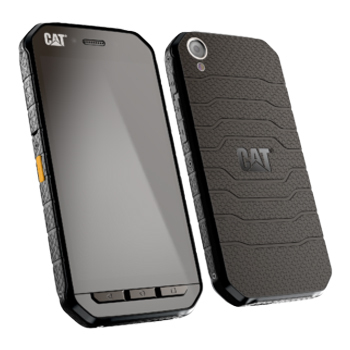 Usable in temperatures between -25°C (-13°F) to 55°C (131°F), the CAT S41 is powered by 3GB RAM and houses 32GB of expandable memory. The MTK P20 MT6757 Octacore 2.3GHz makes Android quick and easy to use and you'll be able to capture the moment on the go 13MP autofocus camera with PDAF and LED flash or the 8 MP Front camera with fixed focus.